How wonderful! I’ve had a bag of date sugar waiting for a good use sitting around for the longest time, and I think I just found it…! hannah, i’m so glad i can help you out with such a big problem! 😉 i’ve been subbing date sugar into muffins and other types of cakes and cookies that don’t need to be TOO sweet, and it’s been working perfectly with a 1:1 ratio. it’s definitely helping me stave off sugar cravings! That’s awesome to hear, seriously good to know! I was a little bit worried that it might not be as sweet, or that it would weigh down the baked goods (like brown sugar- the resulting sweets tend to be a bit more dense). Thanks for your input! I love all the healthy ingredients, and they look delicious! Perfect with coffee or tea for breakfast. it’s okay to participate in cheesy holidays, especially if you do it in your own special (and delicious) ways. 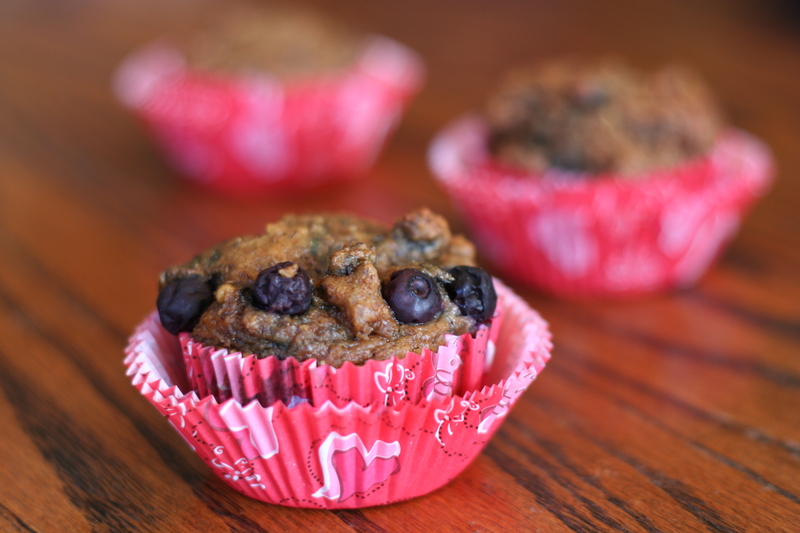 i looooove blueberry muffins, and those cute wrappers! adorable. Oooh wow these sound so tasty!! Yum yum! these were SO yummy (and they disappeared SO fast)! yay! the pics turned out sooo beautiful! loved baking with you, as always. looking forward to more. 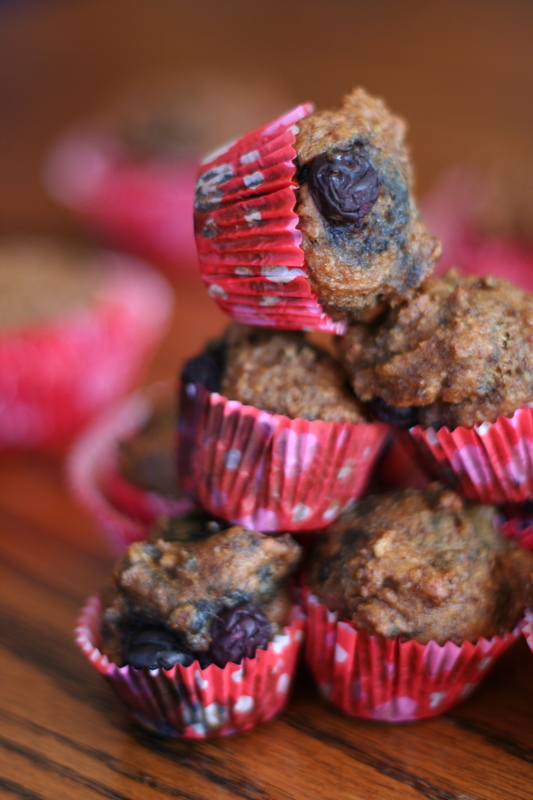 Yum, I love all the blueberries in the muffins! And I am going to make these gluten free but I don’t have date sugar, I might use raw sugar or agave. Oh. Also I did use date paste instead (did not find date sugar), which I needed near double the amount…. You can just use regular white cane sugar in the same amount if you’d like. If you are avoiding cane sugar, you can probably substitute agave – but since it’s a liquid, I would only use one banana instead of two.